I particularly love salad greens and grow a large variety throughout the year. One of the most cold tolerant plants I’ve ever come across is Corn Salad (Valerianella locusta aka Lamb’s Lettuce or Mache) and it grows particularly well here in Tasmania as a winter green. In fact, I think (like Kale) it tastes better for a good frost! It’s one of those plants that’s been in cultivation for hundreds of years that is coming back in fashion again and it really is quite delicious and very mineral and vitamin rich. 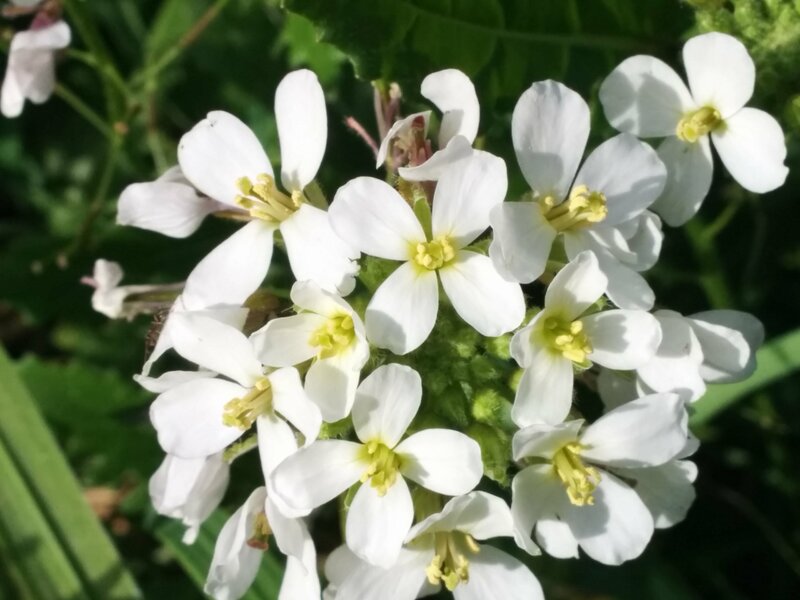 As soon as spring comes, it produces lovely, tiny flowers followed by masses of seed! It self-seeds now throughout my garden but it doesn’t transplant well. Fortunately, the chickens love it and I weed out any unwanted plants for them. During winter, I bought a random punnet of vegetables to fill a spot in the salad garden. It’s been a real winner in every respect. Wasabi Green (Brassica juncea aka Wasabi-na) is an Asian mustard, bred for its hot, wasabi-like flavour. 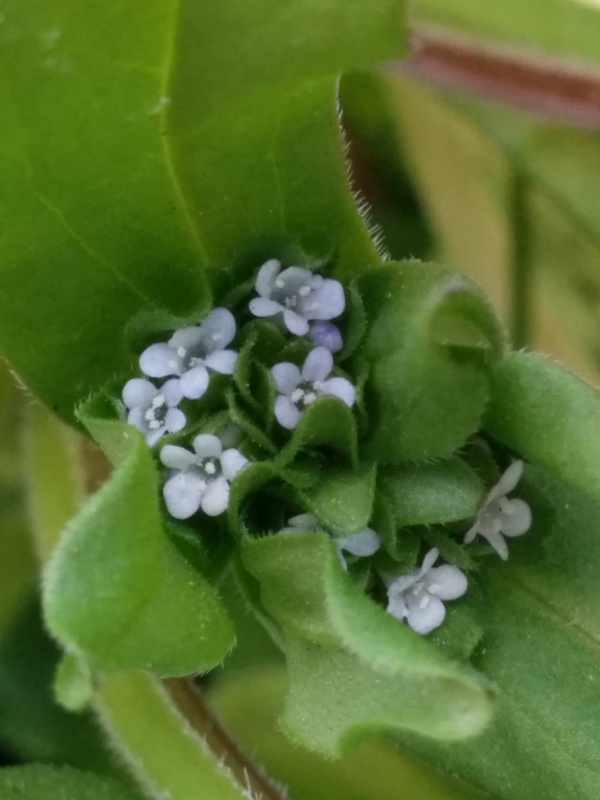 It spiked up my winter salads and even the flowers were lovely addition to the bowl. An added bonus was they were flowering when the bees first came out at the very end of winter. I also managed to save seed from it in early spring before the other Brassicas started to bolt, and I’ll certainly be planting more in the autumn. 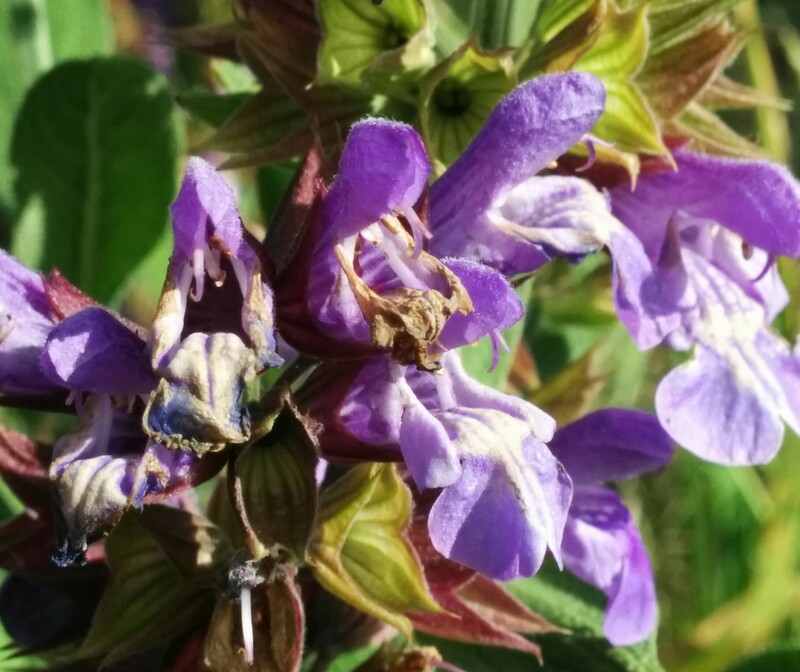 Speaking of bees, one of my favourite edible flowers is also a favourite of the bees, Common Sage (Salvia officinalis). Although the flowers are starting to look a little shabby now, I pick stems to brighten up a vase in the kitchen – as well as brightening up salads and marinades. Recently, we had a roast leg of lamb and I placed a long stem of Rosemary and Sage (both in flower) underneath the joint. Delicious and very pretty when pieces of the flowers appeared in the sauce we made from the pan juices! 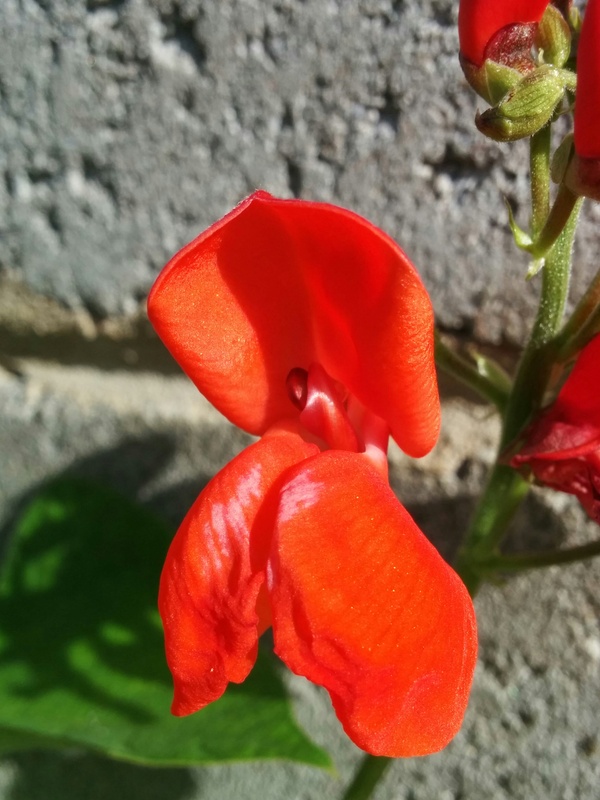 Last year I planted Scarlet Runner Beans (Phaseolus coccineus) quite late but still managed to get a quite reasonable crop of beans from them. A couple survived our unusually harsh winter and they are already in full flower. Unlike ordinary beans, Scarlet Runners are a perennial vine and are also called Seven Year Beans by some gardeners. These gorgeous flowers are not only bee attracting but also bring native birds into my garden – absolute bonus! The beans are lovely to eat whole when they’re young but get very fibrous very quickly and are then only good for the beautiful multicoloured beans that I love to dry and use in soups and stews through winter. 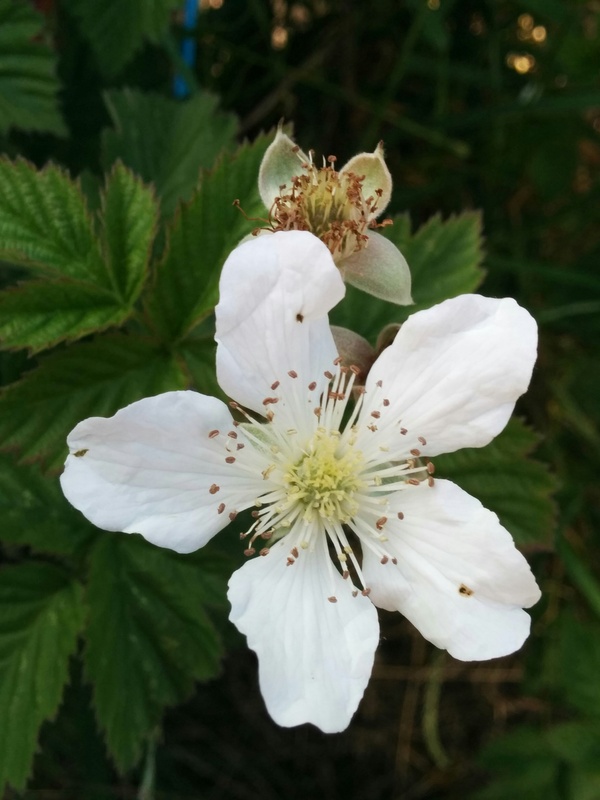 And finally there’s the flowers that are the heralds of spring and summer fruit. My family are especially fond of Boysenberries and currently it’s a mass of quite large, white flowers, which the bees also adore! What are your favourite edible flowers? Please leave a comment!